One of the hot topics amongst the public relations world this year will gain even more momentum into 2014: convergence of digital marketing and PR. More PR organizations are being held accountable beyond media placements including leads, sales and customer acquisition. At the same time, marketing organizations are starved for creative messaging and amplification with their content. For some PR agencies and departments within companies, the drive towards marketing and PR integration is a substantial and uncomfortable shift. Marketers often think of PR simply as the people who you call only once you want to promote something to the media. For PR, marketing can seem like a content machine generating a spew of information, often of nominal value or newsworthiness. 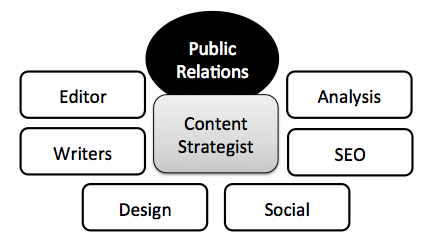 Conversely, organizations that can integrate the story and messaging value of PR at the start – from strategy to content and social media tactical planning, along with the customer targeting and drive towards measurable outcomes of marketing, can achieve a substantial advantages in their effectiveness. But the important shift is that consumers are not only demanding more information, they expect more compelling experiences and opportunities to interact. I can think of few better partnerships that marketing and PR to create a 360 degree brand presence that attracts, influences, engages and converts. There may be status quo driven skeptics, but nothing tells the truth better than proof of data. That’s why creating a business case from a test project or campaign can be so compelling. To make that work, PR needs to be involved from the startL from content planning to identify with marketing what’s “really” promotable to execution for message continuity across channels and amplification through earned, owned, paid and shared media. A lot of the debate between Marketing and PR is about tactics – Who owns social media? Who owns content marketing? Legacy responsibilities and comfort levels maintain the status quo. To make progress towards breaking down those silos and realize the true value of marketing and PR convergence, it’s important to shift attention for a moment, away from tactics and focus first on organizational goals. Messaging & Story – Based on an understanding of both the target audience and those who influence buyers, PR can contribute insights during the marketing program planning stages to develop a brand narrative that extends across channels. Content Planning – Facts tell and stories sell – so here PR can contribute their expertise in finding the overall “story” as well as stories associated with specific content tactics. This is along the lines of, “We’re not selling hammers, we’re selling homes. We’re selling security, peace of mind and family.” Content utility is essential, but content experiences create distinct competitive advantages and PR can contribute to the storytelling and messaging within content marketing plans. Coordinated Social & Media Relations with Amplification – In line with strategic messaging and specific stories to articulate unique selling proposition, PR can align media relations efforts with the creation of owned media. At the same time marketing is deploying online advertising and email campaigns, PR can coordinate sponsored content (native ads), influencer engagement and social media promotions. Creating a congruent, compelling experience across channels helps the brand become the clear, “best answer” for the things the target customer cares about. The brand and best answer affinity pulls buyers towards transactions and referrals. Social Listening for Buying Signals – Most PR groups engage in social media listening to connect with influencers, monitor for advocacy and dissent. Those same social media listing skills can be applied to identifying buying signals from prospects looking for information. Content Placement – Publishing content on brand owned channels like the corporate website, newsroom, blog and social media channels right along with contributed articles, guest blog posts, sponsored content and publicity all fall in the realm of PR content specialists. Optimize Messaging – Drawing on social media listening, web analytics, digital clipping reports and marketing performance data, PR can consult with marketing on optimizing high level messaging as well as topics and keywords used at the content object level. The dynamic of hypothesis, implementation, data collection and optimization is near and dear for digital marketers. It should become the new model for digital PR pros too. You can see an example of this sort of integration in the simplified integrated marketing model I shared here. For 2014, I think there will be a lot more attention on the evolution of Public Relations to extend the ability to influence a public towards brand storytelling and narrative driven content marketing programs that extend across media channels. The power of influence combined with audience targeting and direct impact on business ROI make integrated marketing and communications a very attractive option for companies that need to take that next step in their digital marketing. If you work in Public Relations, is your group or company performing more marketing accountable functions? 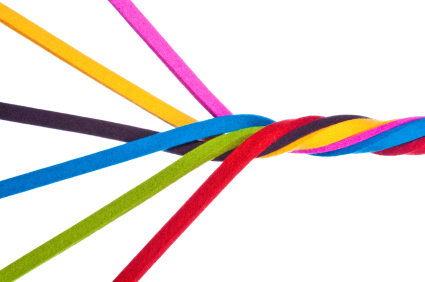 What are some of your biggest challenges towards greater integration between PR and marketing?